Since the success of his first album, Watershed, Robbie Roth’s music has been heard on stage, screen and radio all around the world. His songs have made the Billboard charts in America and been featured on a number of television programs (including ABC’s Good Morning America and NBC’s Last Comic Standing). Robbie has also lent his production ear to a myriad of well-known artists. Robbie co-wrote and produced the debut album of Tony-nominated Broadway actor Gavin Creel (Thoroughly Modern Millie, La Cage Aux Folles, Mary Poppins), as well as his highly-acclaimed sophomore record, Quiet. Robbie also co-produced the first EP for Juno-nominated pop band, The Midway State. 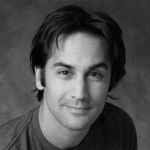 Robbie was the composer/co-lyricist of Barbie: Live In Fairytopia, a Live Nation / Mattel musical theatre production based on the Barbie doll, that toured across America. Robbie wrote and produced for Mattel’s Magic of The Rainbow Barbie doll line, as well as for the Fairyoke toy line. Robbie has written with and produced records for Ron Sexsmith, Vince Clarke (Depeche Mode), Marcus Hummon (Dixie Chicks) and Canadian comedian and stage veteran Sean Cullen, to name a few. Robbie was Music Director of the White Ribbon Tribute to Neil Young, and the Canadian press opening of the film The U.S vs. John Lennon. Robbie is the composer and co-lyricist of the stage adaptation of the film, Flashdance, which first opened in July of 2008, and toured the UK for 40 weeks. 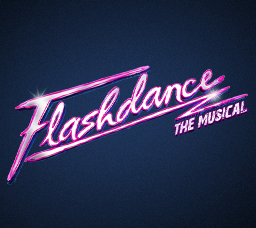 Flashdance opened in London’s West End in the fall of 2010, in Italy in December of 2010, and returned to North America in 2013, with productions in the Netherlands, Scandinavia, Germany and the Czech Republic. Most recently, Robbie has been hired as composer/lyricist for Sony Music Publishing’s stage adaptation of Drumline, a 2002 Fox film, as well as a new touring musical for Mattel Inc. entitled Barbie Live.